ROSELAND, N.J., Mar 01, 2019 (SEND2PRESS NEWSWIRE) -- The Sudden Unexplained Death in Childhood (SUDC) Foundation is pleased to announce 20 states, Arizona, Arkansas, Florida, Hawaii, Indiana, Louisiana, Mississippi, Missouri, Montana, Nevada, New Hampshire, Ohio, Pennsylvania, Rhode Island, South Carolina, Tennessee, Texas, Utah, Washington and West Virginia have made statewide proclamations declaring March 2019 SUDC Awareness Month. These are the first states to join a nationwide effort led by the SUDC Foundation to raise awareness of one of the most under-recognized medical tragedies of our time, marking the beginning of a month-long campaign all over the world. Sudden Unexplained Death in Childhood (SUDC) is a category of death in children over the age of 1 year which remains unexplained after a thorough investigation and autopsy. Most often, SUDC occurs in otherwise healthy children during sleep. Approximately 400 children are lost to SUDC in the United States every year. "We want every family who loses a child to SUDC to be able to find the SUDC Foundation to get support as soon they need us," said Laura Gould Crandall, Executive Director and Co-Founder of the SUDC Foundation. "These families too often feel lost and alone in their grief, without information, resources or knowledge that other families exist with a similar loss. Raising awareness of SUDC is essential to our work to support those affected by SUDC and advocate for research that will help us create a world without SUDC." The SUDC Foundation will once again honor SUDC Awareness Month by hosting weekly activities for every SUDC supporter to raise awareness of SUDC and remember the children gone far too soon. To learn more, please visit: https://sudc.org/advocacy/sudc-awareness-month. 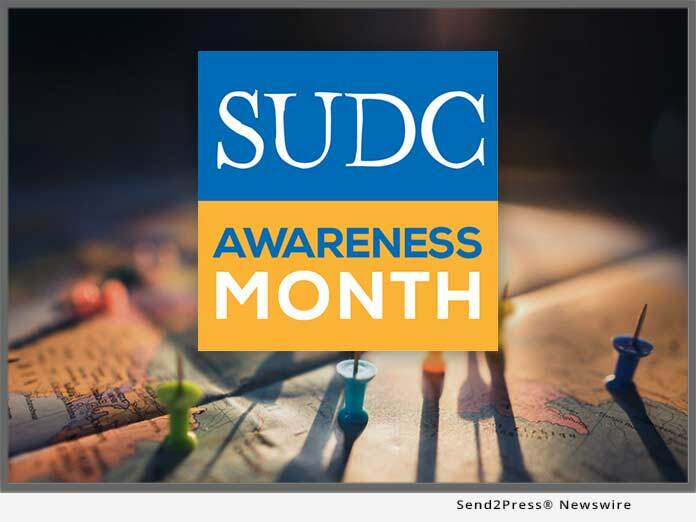 The SUDC Foundation is advocating for SUDC Awareness Month proclamations in all 50 U.S. states this March. In 2018, 43 U.S. states participated. This nationwide effort began in 2016, inspired by Drew Joseph Boswell and the Boswell family. The Boswell family successfully advocated for the first statewide proclamation declaring March 2015 as SUDC Awareness Month in the State of Louisiana. The SUDC Foundation is the only organization worldwide whose purpose is to promote awareness, advocate for research and support those affected by SUDC. The SUDC Foundation provides all services at no cost to families. Learn more: https://sudc.org/.